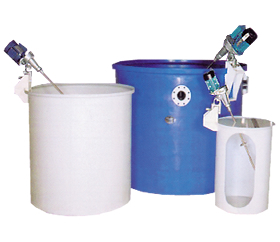 These rugged open top storage tanks are ideal when access to the entire tank is required. Widely used for blending and applications with mixers. These Open Top tanks can supplied with an optional Mixer Mount and Hinged Lids as well as fittings and baffles. Open Top tanks can also be used as secondary containment.